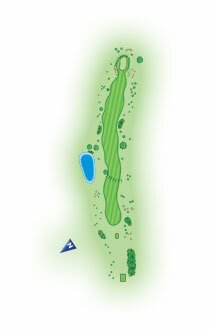 The 8th is the only par 5 on the course. A drive to the left of centre will give long hitters a chance in reaching the green in two. Tee shots to the right are blocked out by a huge Oak Tree.